This is the best bet for the budget Kswaper. They work in conjunction with the Hybrid Racing EG/DC Kswap mount kit. 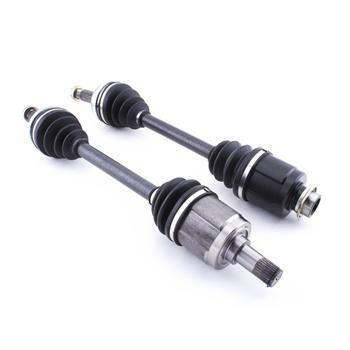 These axles do not work with EK kits or EK kits that use the EG/DC subframe. If you choose the 1 year warranty you are responsible for getting the axles back to Hybrid Racing. This means you pay shipping to us we pay it to you. This axle is a basic swap axle and will not handle 200whp weekly trips to the drag strip. Hybrid Racing has a right to refuse any warranty return for any reason, including excessive breakage. So choose your axles wisely.